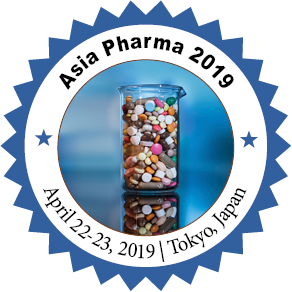 Conference Series LLC Ltd invites all the participants across the globe to attend 20th Asia-Pacific Pharma Congress Tokyo, Japan. 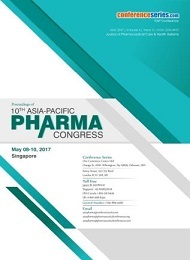 Keynote: Title: How are new drugs registered and regulated in Hong Kong, a special administrative region of China? Bernard M Y Cheung Completed Study from the University of Cambridge. In 2007-2009, he held the chair in Clinical Pharmacology and Therapeutics in Birmingham.He is currently the Sun Chieh Yeh Heart Foundation Professor in Cardiovascular Therapeutics at the University of Hong Kong and Heads the Division of ClinicalPharmacology and Therapeutics. He is an Honorary Consultant Physician of Queen Mary Hospital and the Medical Director of the Phase 1 Clinical Trials Centre.He is the Editor-in-Chief of Postgraduate Medical Journal. He has 270 publications, 7500 citations and an h-index of 43. Hong Kong is a special administrative region in South China enjoying a high degree of autonomy. Its GDP per capitais about the same as the European Union average and higher if adjusted for purchasing power parity. Despite its highpopulation density and unequal wealth distribution, infant mortality is low and life expectancy is long. The hospital-basedhealth service is well-developed but health service delivery in the community is not, and relies on private medical practitioners.This model has its deficiencies but is clearly cost-effective while maintaining high professional standards. 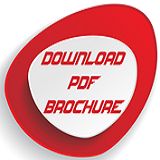 Drug registrationtakes reference from American and European requirements. 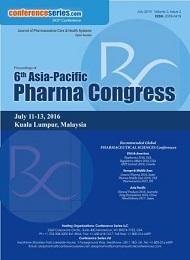 Hong Kong is part of the Pharmaceutical Inspection Co-operationScheme. Drug regulation is rigorous, as shown in the recent orderly recall of contaminated generic Valsartan. 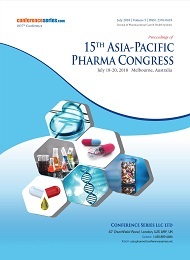 The Hong KongHospital Authority Drug Formulary is also closely regulated. New drugs have to demonstrate not just safety and efficacy, butalso advantages over existing drugs and in some instances, cost-effectiveness. Hong Kong is also a national and regional centrefor clinical trials because the subjects are mostly Chinese while protocols in English do not need to be translated. There aretwo clinical trials centres in university hospitals that also run phase 1 and pharmacokinetic studies. The ethical framework andpharmacy support for clinical trials is well established. Introduction: The Department of Emergency Medicine (DEM) has a high-risk environment duo to its unique and complexworkflow. Many high-risk medications are ordered and administered at bedside without being checked by pharmacist, which maylead to increase the incident of medication error and Adverse Drug Reactions (ADRs). Objective: The objective of this study was to assess and evaluate the need of clinical pharmacy service in DEM at King SaudUniversity Medical City, Saudi Arabia. pharmacist interventions was extracted from Esihi database. Result: During the study period a total of 2255 interventions were documented by Emergency Medicine (EM) clinical pharmacist. The interventions were related to 862 patients. Interventions recommended By EM clinical pharmacist were: 645 (dose adjustments),108 (therapeutic substitution) and 354 (initiating drug therapy). ADRs were distinguished in 16 patients and interactionswere managed in 26 patients. The EM clinical pharmacist responded to 713 (information inquires) and 290 (pharmacokineticconsultations). Drugs discontinuation interventions were: 39 (avoid unjustified prescription), 37 (contraindication) and 19(duplicate therapy). The most interventions were related toantibiotic drugs (34%), followed by anticoagulant drugs (15%),followed by anticonvulsant drugs (10%). The acceptance rates for the EM clinical pharmacist recommendation from DEMphysician were 93.9% in 2016 and 99% in 2017, respectively. The most outcomes of the interventions were optimized therapeuticeffects (73%) and reconciliation was done for 796 patients.Conclusion: This study shows the important role of clinical pharmacy service in the emergency department.